Why One Health & Fitness Epping? At One Health & Fitness Epping, we are passionate about exercise and wellness. That is why we offer a five star club that includes state-of-the-art cardiovascular equipment, mixed and a separate ladies-only area, Spin studio, 2 Group Exercise studios, and on-site Child Care. We know healthy living is more than just exercise! It’s about feeling comfortable in your own skin, having a healthy attitude towards food, and of course, a healthy dose of fun! That’s where we come in. We offer plenty of innovations and indulgences to keep you motivated and inspired along the way. We’re always introducing new classes and motivational programs like Bootcamp and Weight-Loss initiatives to keep our members on track! 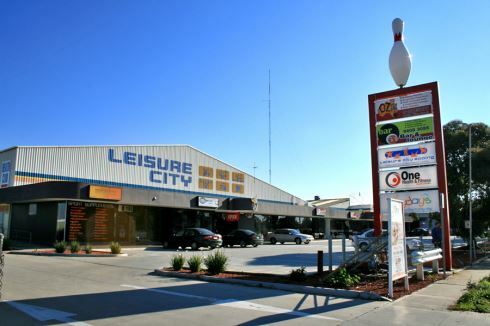 We are conveniently located within Leisure City. A fully integrated recreational complex featuring a 25m indoor swimming pool, indoor/outdoor tennis courts, sports competitions including netball, soccer, volleyball and aussie rules football... and for the kids, Playdays – a huge indoor play centre. We’re just 300 metres away from Epping Plaza. One Health & Fitness is an Epping gym which will positively change the lifestyles of all of our unique members. One will do this by understanding our Epping gym members, their challenges and their aspirations, and encouraging all shapes and sizes. One will deliver the highest level of customer service and make inspiring and motivating our members our priority. At One Heath and Fitness Epping, our members will have access to our full array of services including a fully equipped gym with state of the art cardio, group fitness classes including Epping Yoga, Pilates, Boxing, Les Mills, Epping Zumba and Cycle, access to our seperate Epping Women's gym, Epping swimming pool access and so much more. Welcome to the start of the art Epping Gym. Enjoy Epping swimming pool access at Leisure City. High energy classes inc. Les Mills, Boxing and Epping Zumba. Burn calories with our state of the art cardio. Epping Boot camp programs help bring the community together outdoors. A fully range of free-weights and strength training equipment. Our private Epping ladies gym. Convenient on-site child minding services. Get into Epping personal training and fast track your results. Our gym is always staffed so our team are there to help you. Relaxing classes inc. Epping Yoga and Pilates. Experience the One Health & Fitness Epping gym difference. Enjoy complementary access to our Epping swimming pool as a member of One Health & Fitness. Leisure city's own heated Epping swimming pool. Our Epping swimming pool is perfect for swimming laps. BE FREE! Finally, a health & fitness club that lets YOU Make Your Own Membership. MYOM is designed around your goals, preferences and lifestyle. You choose the services and options that are right for you and even the amount of days that you will be attending every week. You only pay for what you use. Above all, MYOM puts you in control - you create your own membership based around your lifestyle. Need some motivation? Then our One Life membership is just for you! If you want to fast track your health and fitness results, stay focused and work one on one with one of our qualified and friendly personal training team members on a regular basis, then we have the membership for you!One Life gives you full and unrestricted access to our mixed and ladies only area (if applicable) as well as unlimited access to our comprehensive Group Exercise classes. One Body is a great all round membership package. You will enjoy unlimited access to both our mixed training area as well as our Group Exercise Classes. Support is there when you need it! You can enjoy regular health assessments and program reviews throughout the year. So much to do in so little time! 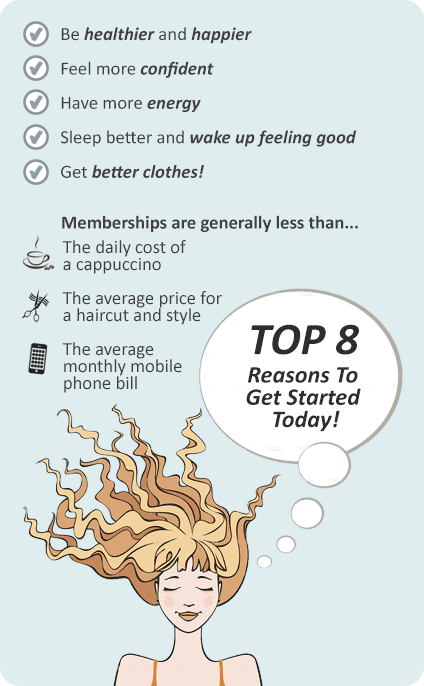 If this sounds like you, then One Active may be the membership for you. It’s designed for busy people who can only attend a couple of times per week. One Go is ideal for people who are simply looking at supplementing their active lifestyle. It’s a low cost, fast and effective option. Our flexible One Choice membership is ideal for those of you who don’t want a lock in contract. One Choice gives you full access to our Mixed Training area as well as our Group Exercise Classes. The business of life is to enjoy oneself! Get a few work colleagues together and we can arrange a corporate membership package based around your team’s needs and goals.